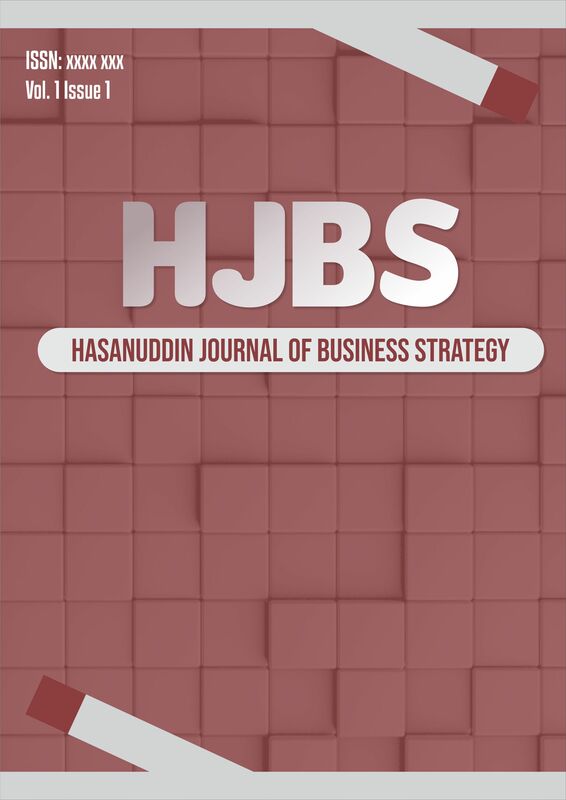 Hasanuddin Journal of Business Strategy (HJBS) is a peer-reviewed journal published by Master of Management, Faculty of Economics and Business, Hasanuddin University. 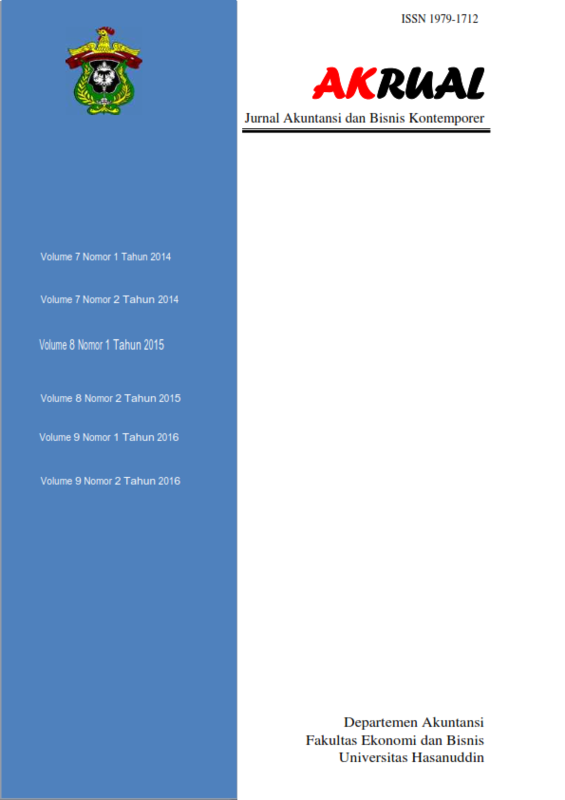 It is an open-access online journal in the field of applied management. The Journal published four times in a year in February, May, July, and October. 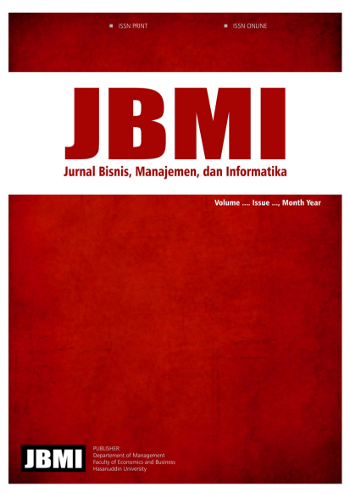 The journal is designed for professionals and researchers to convey their findings of business concepts, thoughts, and new strategies for business's viability and competitiveness in manufacturing and service companies, including small and medium enterprises (SMEs). Focus topics include but are not limited to aspects of innovation in products and processes, entrepreneurship, corporate finance, marketing, human resources, operations, and logistics. Jurnal Bisnis dan Akuntansi Kontemporer diterbitkan oleh Departemen Akuntansi Fakultas Ekonomi dan Bisnis Universitas Hasanuddin secara berkala (terbit setiap enam bulan). Penerbitan jurnal ini dimaksudkan untuk mensosialisasian hasil-hasil riset empirik dan konseptual. 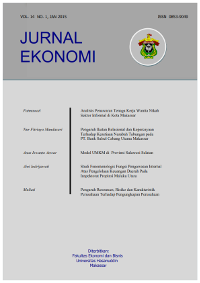 Jurnal Ekonomi (ISSN 0853-9049), dahulu Jurnal Ekonomi dan Bisnis â€EKONOMIKAâ€,diterbitkan secara berkala dua kali setahun pada bulan Januari dan Juni. Diterbitkan sebagai media publikasi gagasan konseptual, hasil penelitian, kajian dan terapan teori. Tulisan (artikel)yang dimuat merupakan pendapat pribadi penulisnya, bukan mencerminkan pendapat penyunting ataupun penerbit. 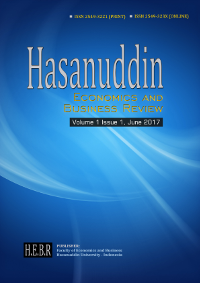 Hasanuddin Journal of Applied Business and Entrepreneurship (HJABE) is a peer-reviewed journal published by Master of Management, Faculty of Economics and Business, Hasanuddin University. HJBE published quarterly in January, April, July, and October. It provides an academic platform for professionals and researchers to contribute innovative work in the field. 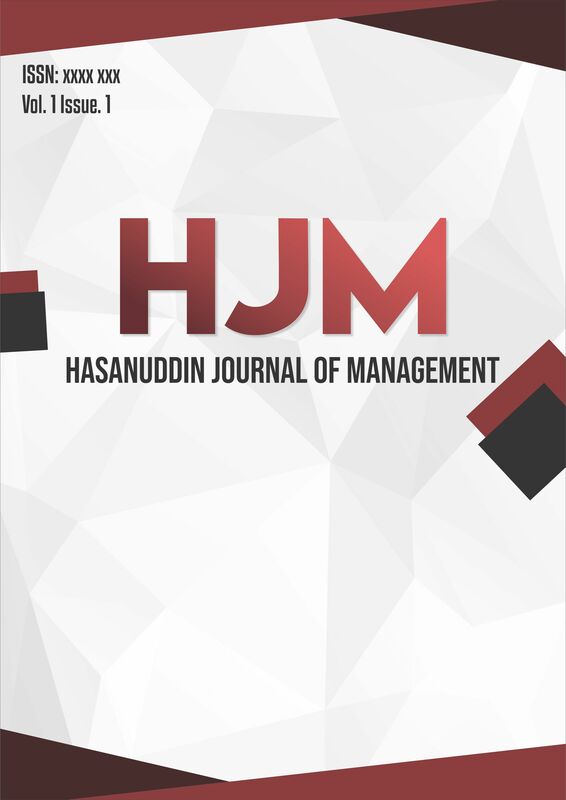 HJABE carries original and full-length articles that reflect the latest research and developments in both theoretical and practical aspects of business, management and entrepreneurship. The journal is published in both print and online versions. The online version is free access and download.